1859 Re-punched "9" DP#5 ? I am fairly sure I have this one right. DP #5.
just to be sure, can someone confirm please? just also wondering what happened to the 1 in the date? PMD?? if so, it must have been a very long time ago. Or a grease filled die? 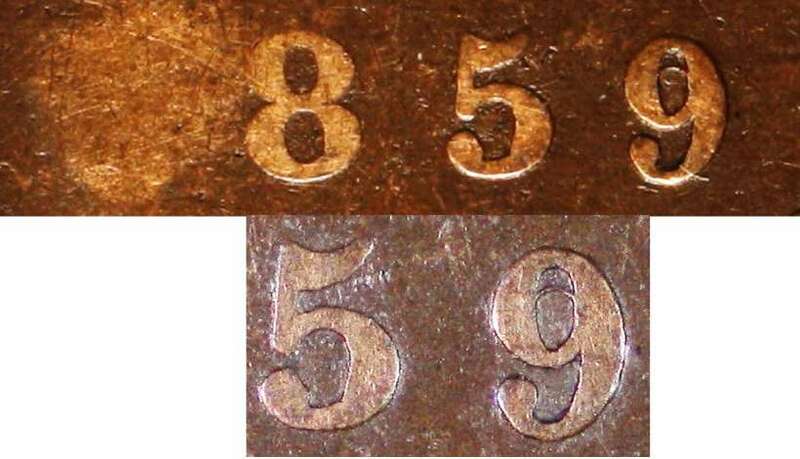 I am aware of the missing digit in the 1858 coin.